Update: Tobet Partners is now part of Affiliate Lounge. Tobet Partners is the affiliate program for Tobet.com. Tobet is primarily an online sportsbook that also has mobile betting. The gaming website offers players an online casino, live dealer casino, games as well as poker. The site is licensed in Malta and is available in English and Polish languages. 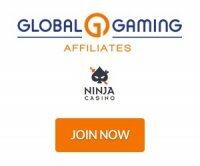 The company is a member of the NordicBet Gaming Group Ltd. Whether you are promoting their casino, sportsbook or poker room you can get a starting 25% revenue share commission and that can go as high as 35% based on performance. The program doesn't have any negative carryover (No NCO) and offers affiliate payments by Neteller, Skrill and bank wire. The Tobet Partners backend is powered by Income Access software. Webmasters can see their stats for the last 3 months in the dashboard and get recent creatives and marketing materials. The program offers live feeds along with tracking links and gif banners for various sports. Tobet is a great standalone betting product that features mobile betting, poker, casino and live dealer casino. Tobet is focused on UK and European markets with languages targeting UK and Poland.